The same happened with heromotocorp today. My trailing SL has been hit at 2855 and price again went back to 2880. Yes your stop was too tight. When you are catching daily moves and are in a Daily trend its convenient to place the stops below a few ticks below each Daily Candles and move it up as the trend progresses. Another useful way to set a Trailing Stop is to use PSAR points to set your stop. This usually works better and helps you to stay in the trend for longer. 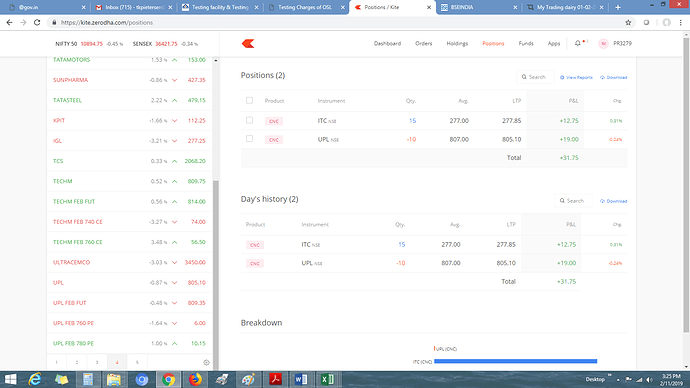 Today HEROMOTOCO actually pulled back to the 20 EMA and it was around 2850 and many traders were eager to Buy a pullback to the EMA in a trending market. So the SL should have been kept below that support. UPL went up to 817 but camedown sharply in the last 15 mins along with nifty. Closed at around 805 which is almost 1.5% down from days high forming inverted hammer on daily candles. 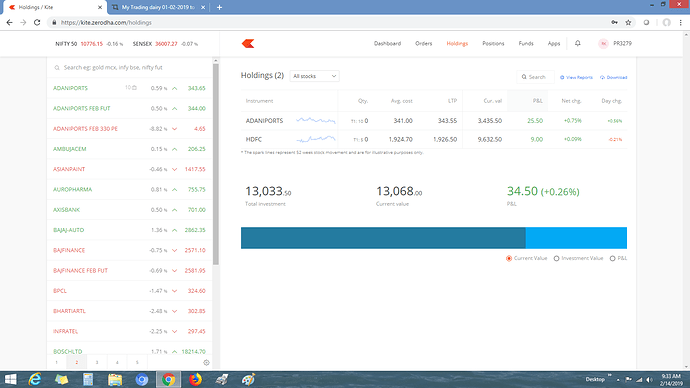 Expecting neagtive day in UPL tommorrow if market is down. Will trail my SL to cost price and wait. There is an engulfing kind of pattern today on daily charts and market trend looks negative. 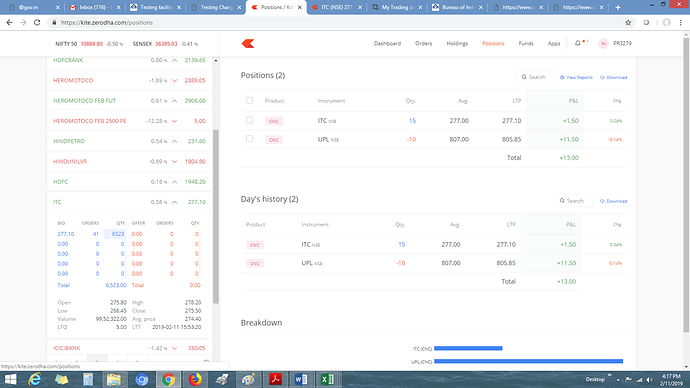 Exited UPL at 807 with 1% profit. Entered ITC at 277 for target of 283-288 with SL at 272. RRR is around 2.2. ITC now trading at 279.5. Trailed SL to 275. @REVANTH F&O is a different game altogether as Margins are involved. 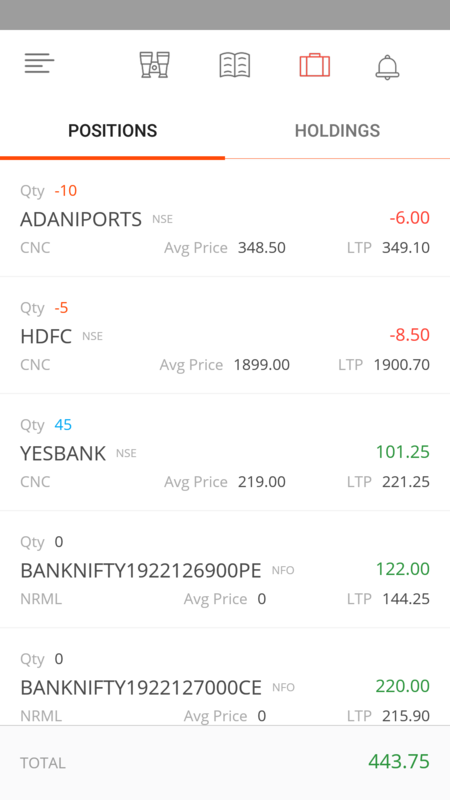 Please paper trade in F&O before putting actual money. 98% lose it… only 2% of retain traders are successful in it. Yup… I am parallelly paper trading the same positions in futures but the difference is that i will hedge the position by buying puts. I will never take naked futures position overnight. 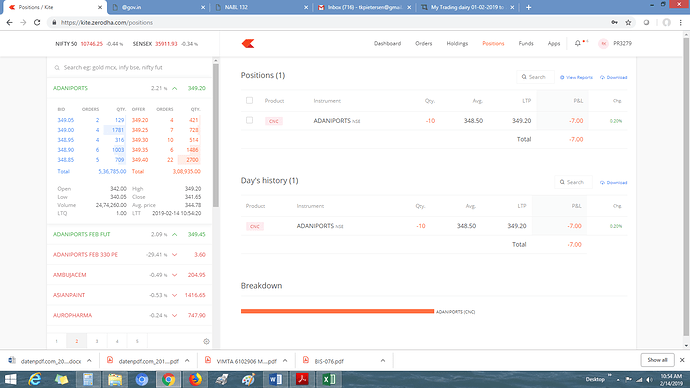 I had previously traded futures for 1 year and was profitable but made some mistakes. I wanted to retest my strategy befor building my target capital for trading futures. ITC went below 275 yesterday but did not exit as i was confident. 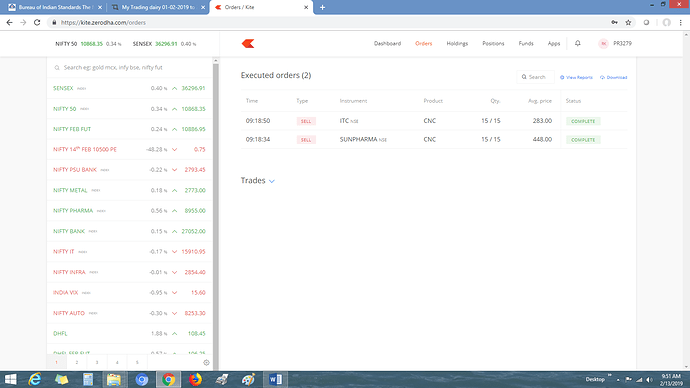 Also made an btst on sunpharma. ITC made high of 283.9 and came down 277 levels. Is it worth doing swing trading for 2% profit target ? What if stock gap down like 7-8% ? 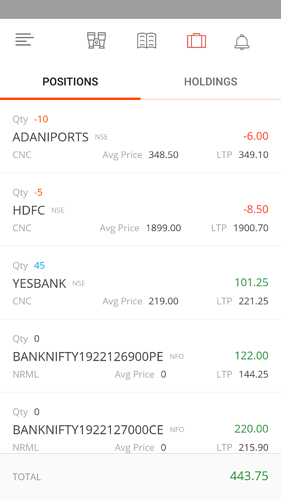 I am doing this as a practice for entering into F&O segment. 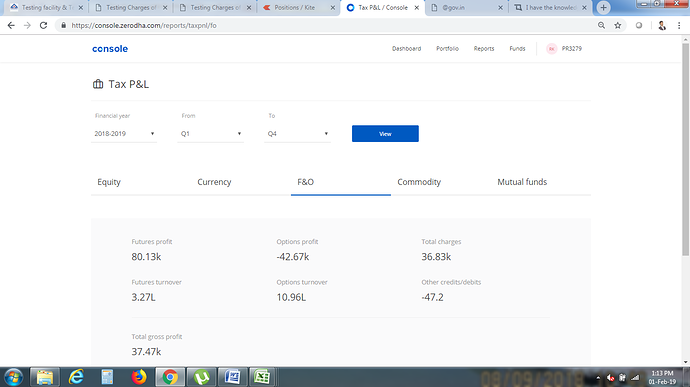 In F&O segment 2-3% in my favor (Around 15000-20000 /- depending on the lot) will be sufficient for me to book profit. i will not hold any position for more than 10-15 trading sessions for which 2-3% is sufficient for me. While doing trading in f&o, the position will be hedged by buying puts to cover the risk of gap down opening. In most cases when there is a gap down opening due to news or events related to overall market, the stock mostly will end green after gap down opening. We can exit the put at the opening and continue holding the futures till it recovers based on our risk taking ability. Gap down opening of 7-8% is a black swan event which may happen once in a year. The only problem with hedging is you have to sacrifice some of the profit made by futures position if stock moves in your direction. This is how i had done and will do f&o trades. What is your style of trading? How much target you will be keeping in swing trading if you are a positional trader? Adaniports now trading at 346. Revised SL to cost price as adani ports is very volatile stock. Exited Adani Ports at 348.5 with 2.1% profit. Entered Yes bank at 219 for target of 250 with SL at 214. RRR is about 2.8. Trailing SL hit in Yes bank at 219.5. Exited at cost. Enetered in Infratel today at 304 for Target of 318-320 with SL at 298. Revised SL to 316.5 and waiting for the second target of 320. Revised SL to 317.5 and waiting for target of 320. Exited Infratel at 317.5 with 4.4% profit. Trade well planned and executed.